Irene Bat-Zvi - Why Stone Charms? 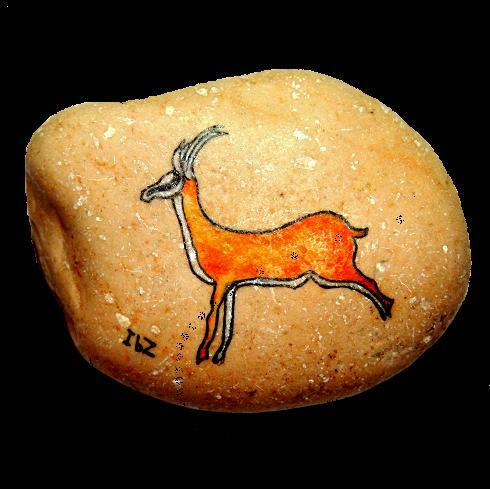 Miniature images on stones symbolize a wide range of blessings and wishes. They can serve as artistic amulets and talismans, bringing good fortune and spiritual richness to the owner. Special division of this collection includes stones representing the Zodiac signs. It is also inspired by the art of Ancient Oriental civilizations and the stones frequently bear the names of specific Zodiac signs written in Egyptian hieroglyphs, Sumerian cuneiform and Phoenician characters. Such a stone could be a personal gift to anyone - thanks to its uniqueness. Since these miniatures are reminiscent of ancient images and styles, they are akin to museum articles and can be an excellent gift to those interested in history, culture, art, archeology and anthropology. These miniatures certainly can be of interest to art collectors and undoubtedly can be considered collectibles. Many images depict various mammals, birds, fishes and insects. Being subject of art by themselves, they bear an additional meaning - symbolizing various concepts such as love, soul, wisdom, and prosperity. People of all ages who love living creatures and the Nature would be happy to receive such a special gift. 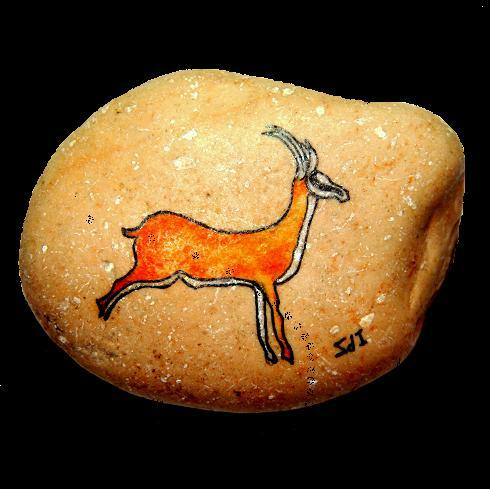 These charming crafted miniatures on stones may serve as gifts and souvenirs - like objects of art supplying most fundamental needs for beauty, harmony and good wishes.